With the dragon blood of her Viking ancestors coursing through her veins, Torra MacLomain has long tried to keep her Scottish clan safe. But a ruthless enemy has been watching...waiting. 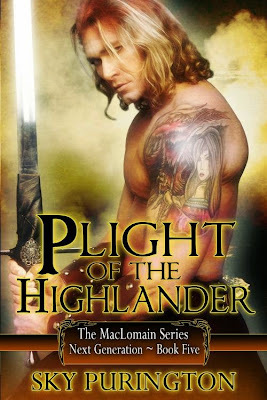 As Keir Hamilton launches his plan to possess her, many secrets come to light including her passion for a certain highlander. When Colin MacLeod's undying love for Torra is discovered, he's given an ultimatum. Watch his lass die a brutal death or defect from his clan to lead the Hamilton armies. Four winters later and in charge of Keir's warriors, Colin battles in an ongoing war against the MacLomains. Yet now the worst has come to pass. His ill-found chieftain has finally trapped Torra. In a castle siege unlike any other and because of time travel, the modern day Brouns and medieval MacLomains join together in a final stand-off against their merciless enemy. Battles rage. Mysteries are revealed. Freedom is found. But most importantly, a love long repressed at last rises up determined to conquer all in Plight of the Highlander. 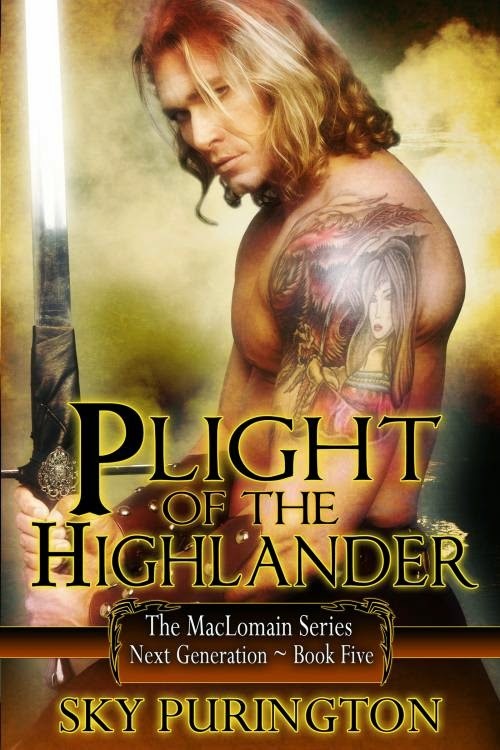 Faith of the Highlander (Book 4). Torra offered a small nod. What else could she do? Pain and frustration were clear enough in his eyes. That caused her grief as she thought about what he had done for her the previous night. What he had done to her. Not only his kiss but his touch had kindled a wide swath of sensations that swept her away in a rising tide of soul-deep need. She never imagined a simple kiss could feel so good. Now sampled, she wanted more. Far more. But it wasn’t just his lips she craved. Now she knew there was an indescribable pleasure to be found in his arms. Torra instinctually pulled away. But Colin didn’t let her get too far. His eyes flared and whipped down her body then back to her flushed face. Her words sounded like an excuse even to her own ears. Mayhap for all she thought this morn that she had come so far, she had not at all. Torra watched Colin internally fight his assertive nature. She knew full well he was tempted to pull her into his arms. Instead, he inhaled deeply and raked a hand through his hair. “Confidence will only be gained through repetition. ‘Tis what I tell my warriors,” he muttered under his breath and stalked into the adjoining chamber. “I am not one of your warriors,” she reminded, following, trying not to get aggravated. It didn’t matter how much sense he made, his words irked her. But despite her rising temper, Torra was surprised to realize that not only his words but the stern way he looked at her ignited…desire? This time his lips didn’t quirk but curled up ever so slowly, well aware of both her mental and physical reaction. 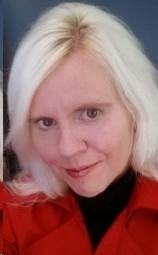 Sky Purington is the best-selling author of thirteen novels and several novellas. A New Englander born and bred, Sky was raised hearing stories of folklore, myth and legend. When combined with a love for nature, romance and time-travel, elements from the stories of her youth found release in her books.